Update, December 13: Destiny 2’s Xur will not appear on the DLC-exclusive Mercury, so vanilla players can keep visiting him. Bungie have issued a small announcement to stave off a second round of Destiny 2’s most recent criticism. 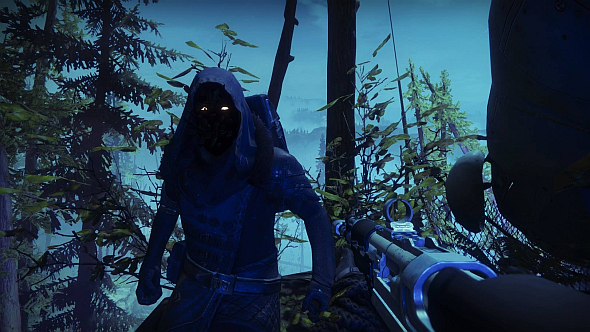 Our old pal Xur will not be appearing on Mercury, apparently because it’s too bright out there, or something. Here are the details on the Curse of Osiris raid lair, Eater of Worlds. Xûr will not be making an appearance on Mercury. Far to bright for his liking. Keep an eye out on Friday for your favorite snake faced vendor. The subtext here is that Mercury is the new location introduced by the Curse of Osiris DLC, so Xur will only be peddling his wares in locations accessible to owners of vanilla Destiny 2. Whether or not this was the plan from the start, recent controversy over base Destiny 2 content getting locked behind DLC upgrades would likely have forced Bungie to take this measure. It’s still entirely possible that Xur will be selling Curse of Osiris-appropriate gear this week, which would probably be the best of both worlds, giving both vanilla and DLC-owning players a chance to get some relevant wares. Update, December 11:Bungie are making changes to how high-level vanilla Destiny 2 content is being handled in Curse of Osiris. The recommended power level for the Prestige Leviathan Raid will be brought back down to 300, and rewards will be rebalanced to match. Trials of the Nine will now be exclusive for Curse of Osiris owners only when a map from the DLC is included, and the same goes for Normal Nightfall. The Prestige Nightfall, however, will remain a DLC-only activity at the new 330 power cap. Time limited events, including Iron Banner, Faction Rally, and The Dawning will be available to all players going forward, including any rewards from the base game. Seasonal rewards that come post-Curse of Osiris will require the DLC to earn. All these changes will go live tomorrow alongside update 1.1.1, and Faction Rallies are being temporarily postponed. In the future, Bungie are looking to add new challenges and Modifiers to Heroic Strikes for all players. They’re also looking to add a third difficulty tier to all Prestige activities to keep them relevant for players continuing to buy expansions. It’s not the first bit of Destiny 2 where things haven’t gone according to plan. The XP scaling system has been walked back, and a recent job listing suggesting expanded microtransactions in Destiny has also disappeared from view. Curse of Osiris raises the power level cap from 305 to 330, and naturally that means the game’s stiffest challenges are being buffed to challenge powered-up players. What seems a bit less natural, however, is the fact that the Prestige activities from the original game have had their power levels bumped, meaning you can’t access them until you’ve grinded out to the new cap in the DLC. In other words, the highest level content in Destiny 2 has been removed from the base game and added to the DLC. This isn’t unheard of for Destiny, since similar changes were part of the original game’s life as well. It seems Bungie intends for Destiny players to continue purchasing DLC in order to stay current with the endgame, which on one level is hardly unfair for an online-connected game. But removing previously accessible content to meet the new level requirements is sure to ruffle some feathers, and Destiny 2 is already suffering under some pretty serious perception problems, though Bungie have plans to address at least some of those concerns.